Forget about roulette and craps. True casino aficionados know that the best games to play are those that are far less mainstream. Sic Bo, also known as Tai Sai, Dai Siu and Hi-Lo, is a dice game with origins in Ancient China. You may not have heard of it, but it’s extremely popular in casinos throughout Asia. In Macau, for example, Sic Bo is one of the most popular casino games on offer. Sic Bo was originally introduced to the United States by Chinese immigrants in the early 20th century, and, while the game has struggled to garner mainstream attention, you’ll still be able to find it in most American casinos. 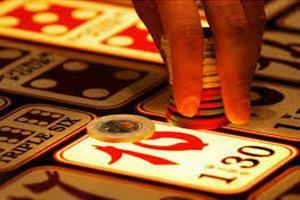 Sic Bo joins craps as the two casino games that involve the use of dice. However, unlike craps, which encourages strategy by requiring certain rolls before awarding wins on most wagers, Sic Bo is strictly a game of chance, meaning that every roll of the dice results in a win or loss on all available bets. To put things simply, there’s no way to predict the outcome of the dice and, as a result, winning at Sic Bo is all about taking the bets with the lowest house edge and hoping for a little bit of luck. 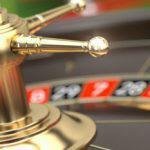 Fortunately, Sic Bo does feature a few bets with a house edge of just 2.78 percent, making it competitive with some of the most popular casino titles. If you’re looking to try your hand at the game but aren’t sure where to start, go for either the big or small bets, or the odd or even bets. All four offer the exact same chances to players. Craps famously features two dice, but Sic Bo kicks it up a notch by including three dice. Each round, all three dice will be rolled and the results will decide whether you win or lose. If you choose the small bet, for instance, wins are paid out on totals between four and 10, excluding three of a kind. The big bet pays out on totals between 11 and 17, excluding three of a kind. 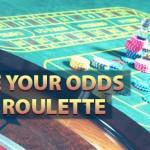 In both cases, the probability of winning is 48.61 percent, and the payout is one to one. Odd and even wagers are sometimes available, most commonly in Macau. Like you’d expect, these wagers pay out on odd and even totals, also excluding three of a kind. If you’re feeling lucky, Sic Bo offers a variety of other wagers, though none can compete with the 50/50 bets in terms of house edge. One example of such wagers is four or 17. Both bets focus on the total of all three dice. If the total is four or 17, the player wins. The probability of one of these numbers showing up is just 1.39 percent. House edge is a little more difficult to predict, because different casinos offer different payouts. In Macau, you can expect a payout of 50 to one when betting on a total of four or 17. This payout features a house edge of 29.17 percent. 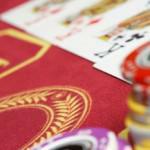 In Atlantic City, players get a better payout of 60 to one. This change drops the house edge to 15.29 percent. While it’s still a far cry from the big and small bets, everyone likes to mix things up from time to time. If a probability of 1.39 percent is too much, Sic Bo has you covered. Perhaps the most famous Sic Bo bet, the triple is reminiscent of the board game Yahtzee. To win, you’ll need the dice to repeat themselves. If all three dice show the number that you choose, you’ll net a huge payout. In Macau, typical payouts for a triple amount to 150 to one. This features an enormous house edge of 30.09 percent. In Atlantic City, payouts are closer to the 180 to one range, once again dropping the house edge significantly, this time to 16.2 percent. The triple bet is also available for any set of three. In this case, any triple will net you a big win. In Macau, payouts for this bet are 24 to one, for a house edge of 30.56 percent. Atlantic City offer 30 to one payouts for a house edge of 13.89 percent. There are plenty of options to test out when you play Sic Bo. Go in with the knowledge that the best possible wagers are the simplest, but don’t be afraid to spread your Sic Bo wings and find out what all the fuss is about. Like we mentioned earlier, Sic Bo is extremely popular in Macau. It’s estimated to be the second most common casino game, trailing only baccarat. As a result, odds for the game are almost universally worse when playing in the Asian gambling destination. Atlantic City offers notably better odds than Macau. Australia offers notably better odds than Atlantic City. Depending on where you play, your results may vary. Remember to check out the payouts before throwing your money on the table. 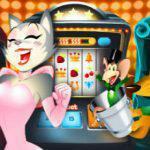 If you’ve been on the hunt for a fresh casino game that’s open to new players and requires minimal strategy, Sic Bo could be the perfect choice. 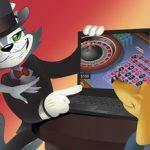 Take it for a spin at CoolCat Casino from the comforts of home before taking your game to Las Vegas or Atlantic City. Playing online offers a convenient opportunity to familiarize yourself with the rules and wagers before stepping into the public eye. 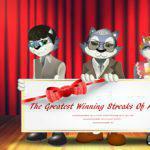 CoolCat Casino is a favorite amongst online gamblers, because we offer top quality games, attentive customer support and some of the best promotions in the business. Take the three dice of ancient China for a roll, and learn the ropes of a game that many Western gamblers never take the time to enjoy. Remember, there’s no reason to read too much into patterns. Much like slots, each round is completely independent from the last, so your outcome will always depend on a bit of luck. Bet smart, and hope for the best. You could be a winner!